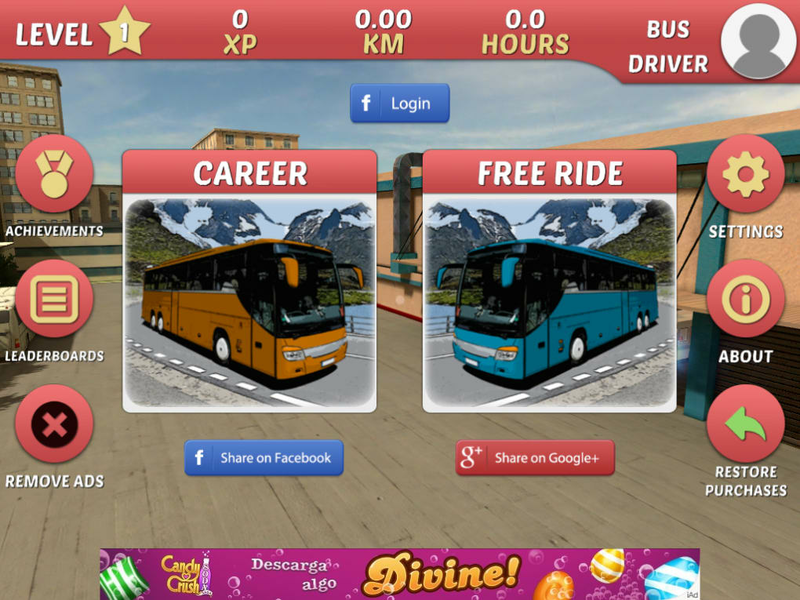 Bus Simulator 2015 is lets you take control of public transport routes, picking up passengers and driving as well as possible. Unlike Goat Simulator, or Surgeon Simulator, Bus Simulator 2015 is not a tongue in cheek game. 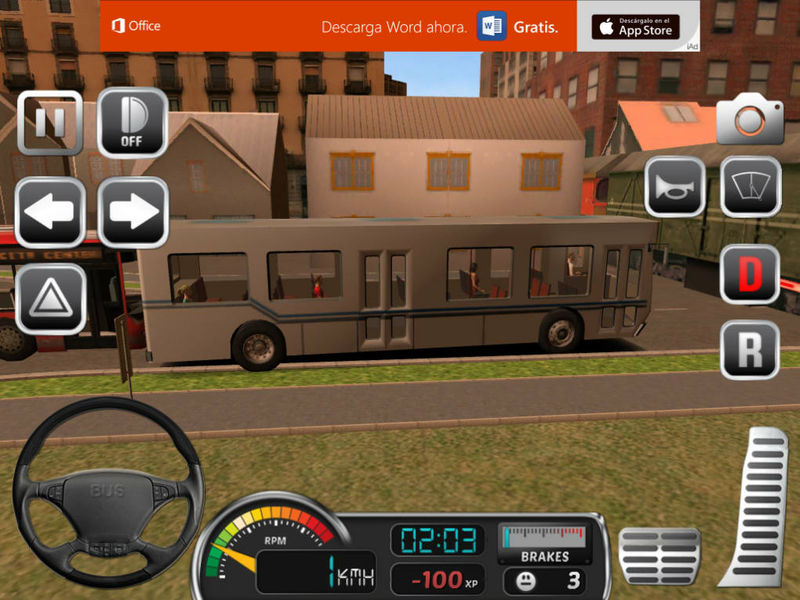 It aims to be a realistic and serious bus driving simulator. In the Career Mode, your job is to take a bus from the depot, stop at all the stops so passengers can get on and make sure your driving is as clean as possible. Crashes are penalized, as are things like running red lights. 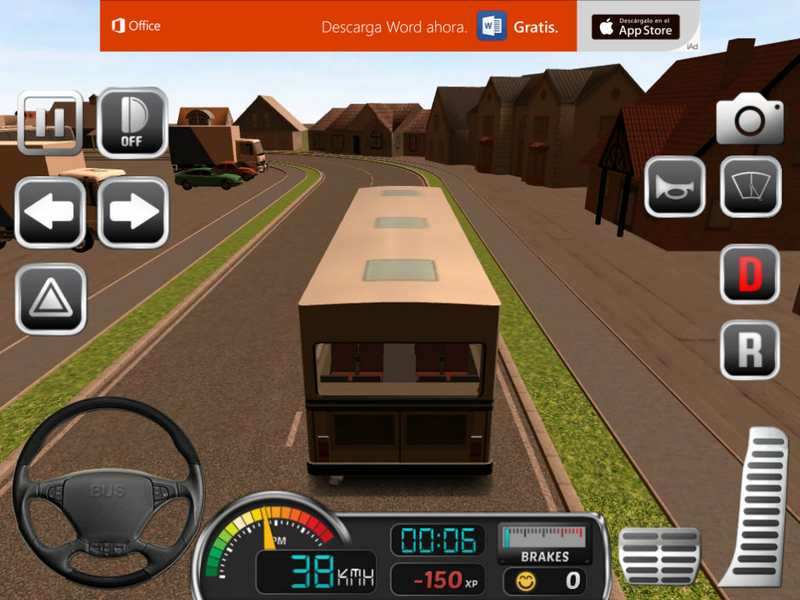 This is not GTA - you need to be a 'good' driver to do well in Bus Simulator 2015. 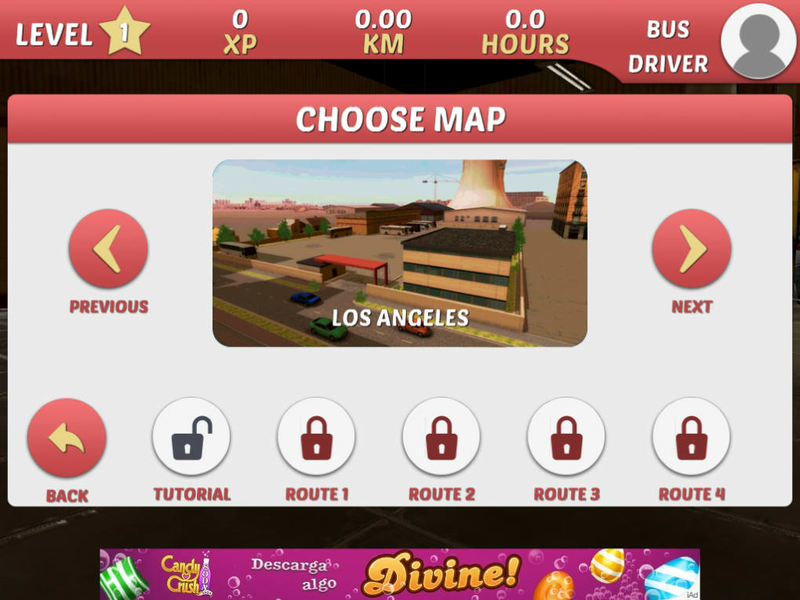 There is a free mode too, where you can drive around the various maps in any buses you have unlocked at your leisure. Maps include Romania, Paris, Los Angeles, Rome and more, with 15 buses to choose from. 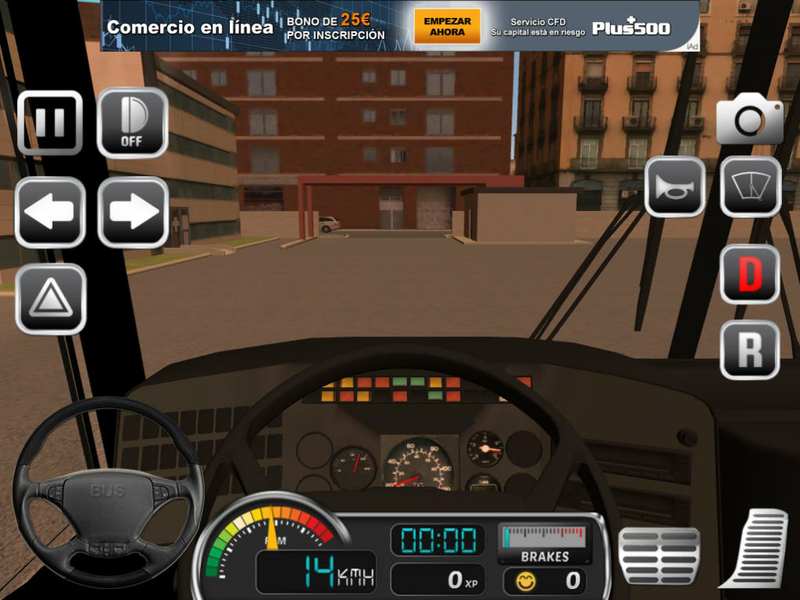 There are three control methods in Bus Simulator 2015, an on screen steering wheel, more typical arrows or tilt control. All other features, like accelerate, brake and open doors, are simply buttons on the screen. It's pretty simple, but getting a good score requires some careful steering control. 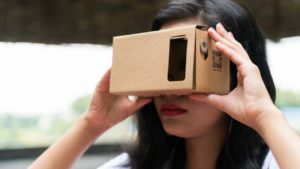 The graphics are simple, but functional. 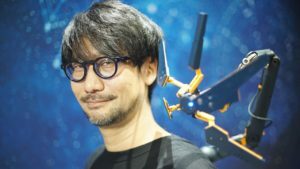 The various cities and locations look different, but don't feel very alive. There is minimal traffic and no pedestrians wandering the streets, except those waiting at bus stops. Unlike some sims, there are no licensed vehicles in Bus Simulator 2015, which means you won't be able to drive exactly your favorite model of bus. 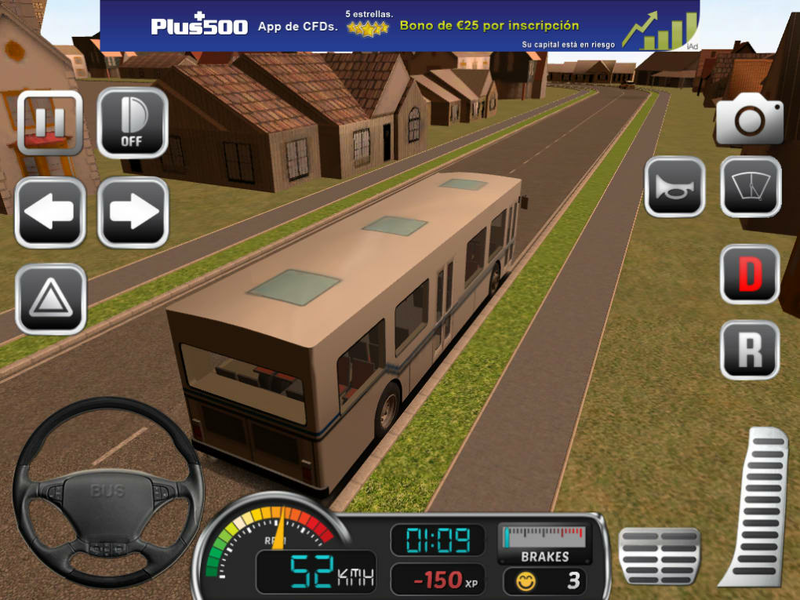 However, buses move realistically and if you enjoy simulators, you should enjoy this. 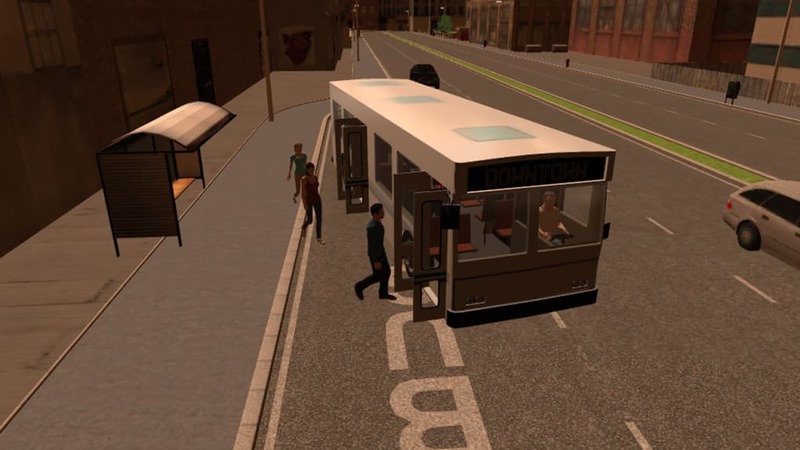 Bus Simulator 2015 is a pretty dry sim, with unlicensed vehicles and bland environments. 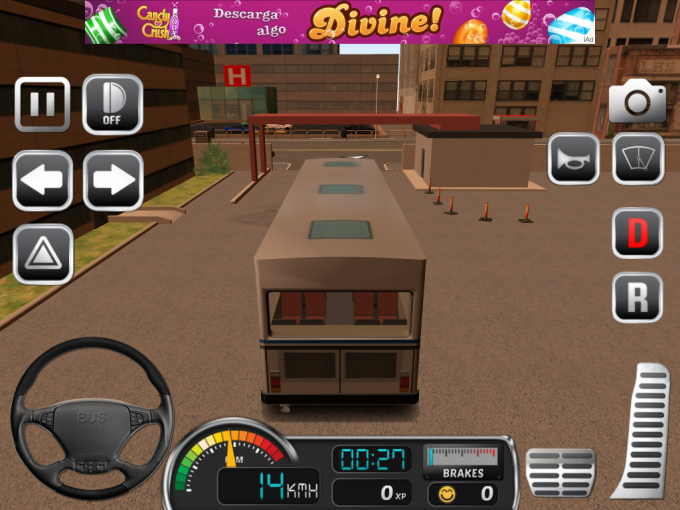 But if you're looking for a Bus sim you can play on the go (or on the bus! 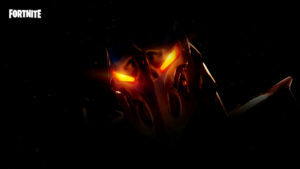 ), this is the best currently available.